22.8mm x 46.9mm. Bezel set with 308 diamonds. 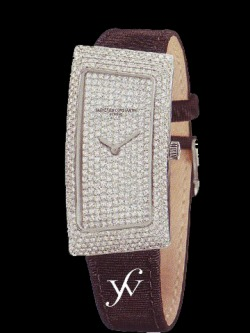 Dial set with 252 diamonds.